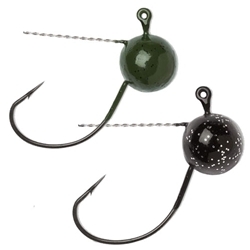 The VMC Wacky Weedless Jighead is perfect when pitching into heavy cover! This VMC hook has an 3 degree Offset Point, Extra Wide Gap, and Resin Closed Eye. With the Stainless Weed Guard and Flick Shake you'll be sure to hook your next Bass while wacky fishing with VMC's Wacky Weedless Jig.